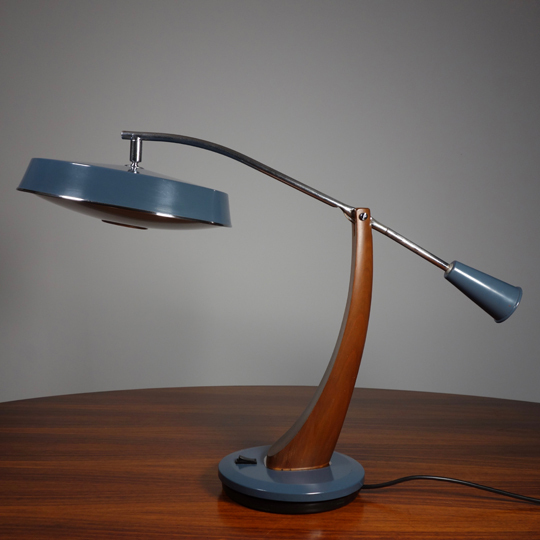 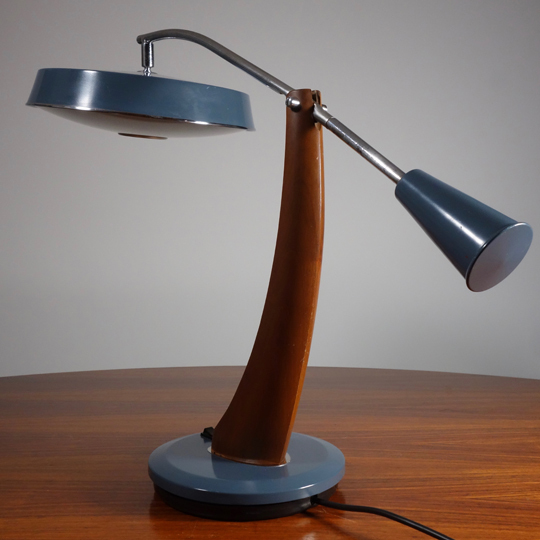 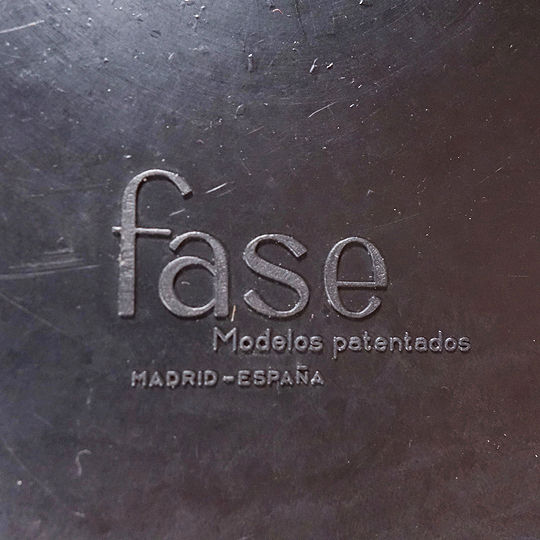 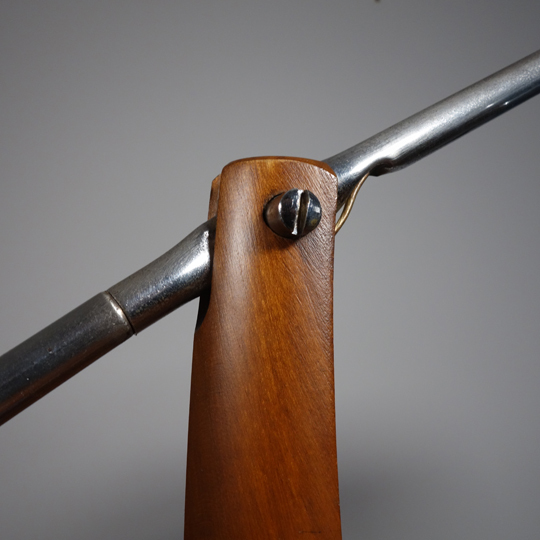 This stunning desk lamp by Fase (Madrid/1960's) comes in a rare blue grey finish. 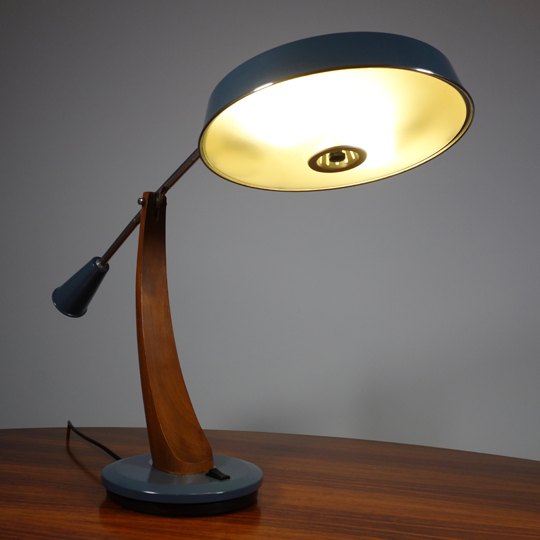 A counterbalance mechanism allows to adjust the height of the shade, which can also be articulated by a ball joint on its top. 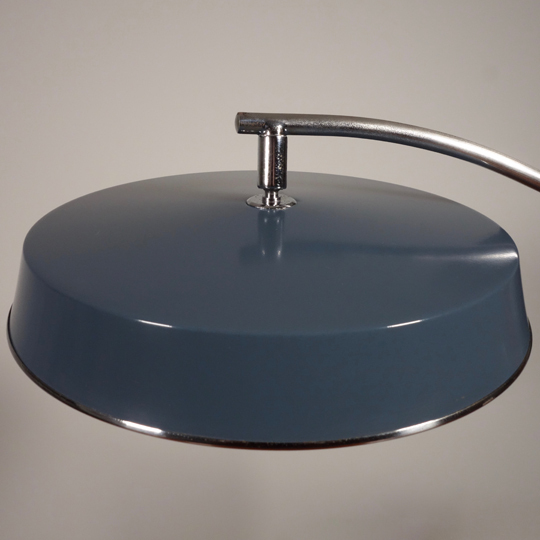 Removable glass diffuser allowing access to 2 bulbs (E27) at the back. 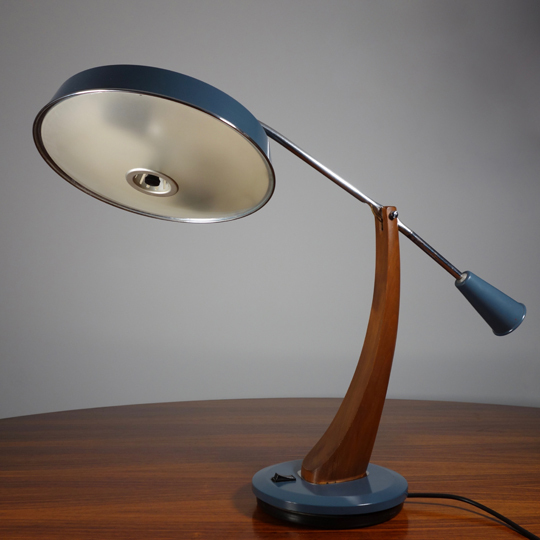 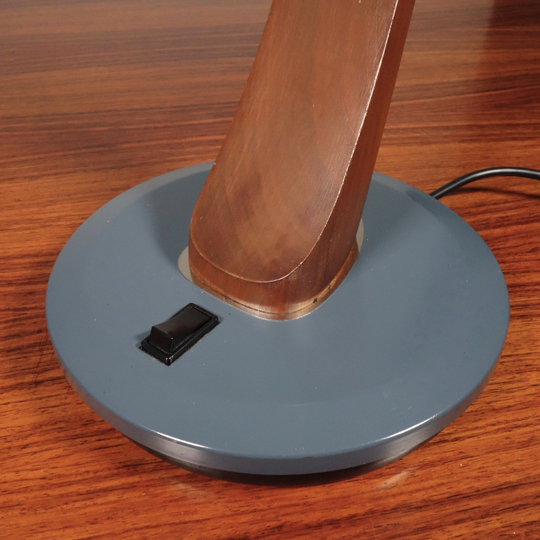 The lamp is supported by a curved mahogany stand that can also swivels 360 degrees. 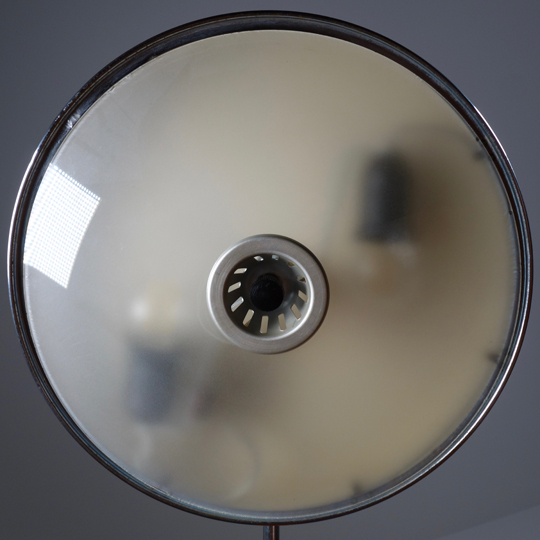 In very good vintage condition with minor signs of wear on the shade and chrome, but nothing deterring from it's undeniable beauty.